Everyone knows winter weather makes driving difficult, but keeping your vehicle’s interior in tip-top shape is also a challenge when snow and sleet hit the ground. Hailed as a “liner revolution,” the WeatherTech Mat protects your original carpet from salt stains, snow, rain and mud with a custom fit that will make dealing with harsh weather a breeze. 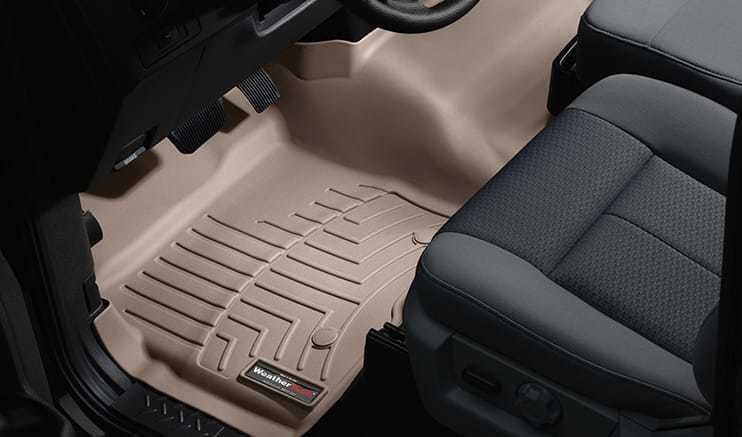 When people speak of WeatherTech mats, chances are they're talking about the DigitalFit laser-precision rubber floor mats. WeatherTech's proprietary technology uses laser beams to map out each vehicle's floor, ensuring the most possible coverage and protection on the market. Raised lips and reservoir channels help keep liquids and spills flowing away from your feet and away from your carpets. Made to fit a wider range of vehicles, the all-weather floor mats provide all-weather protection with the "best possible" coverage for your vehicle. Think of it as a cross between the DigitalFit floor liners and the All-Vehicle universal floor liners, with a price point in the middle as well. 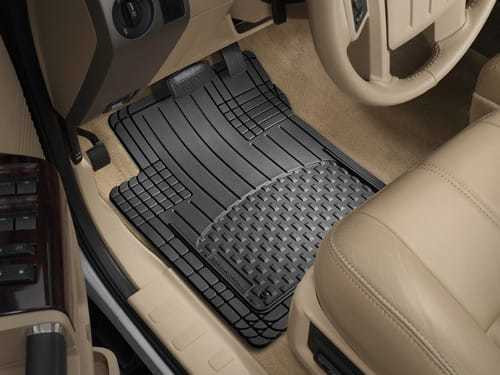 WeatherTech measures each vehicle's interior and selects the All-Weather floor mat that best fits your vehicle. 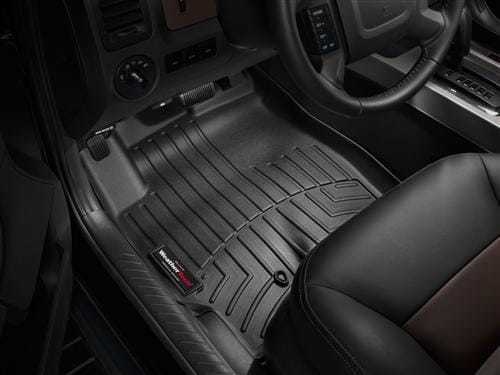 The mats that work for virtually every vehicle on the market - the All-Vehicle universal floor liners come at the lowest price point available from WeatherTech. 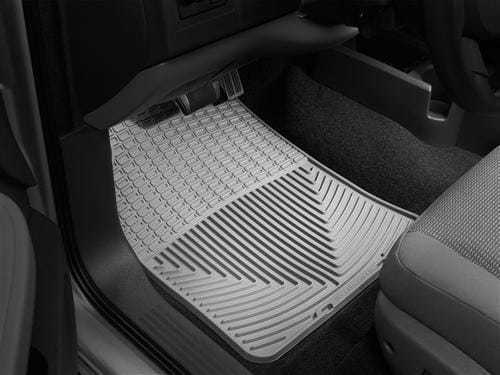 To help you achieve a better-than-universal fit, these floor mats come with trimmable edges to shape the floor liners closer to your vehicle's edges. Available in front and rear sets, and in black, gray or tan. 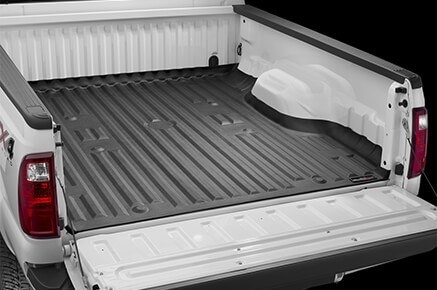 WeatherTech Techliner Truck Bed Mat is a great solution that adds a layer of protection to your truck bed. 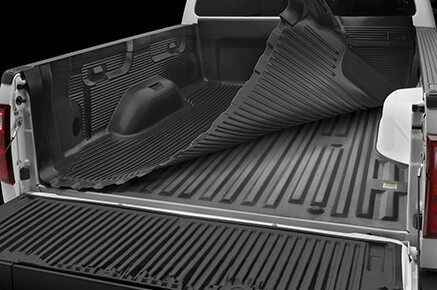 This high-quality truck bed liner will keep your cargo and truck bed in good shape. 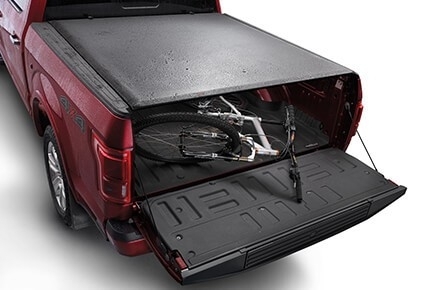 A great way to protect your truck ned, the WeatherTech Underliner Truck Bed Liner ensures that your truck bed and drop-in liner is well-protected. It perfectly fits the contours of your truck. This tonneau cover will protect your pickup bed in the most stylish way possible. It’s low-profile so it doesn’t compromise the look of your pickup. 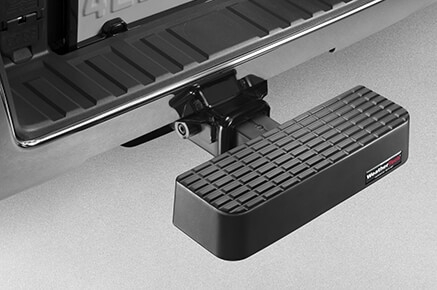 Make sure that your car’s rear end is well-protected with the WeatherTech BumpStep. This will prevent your rear end from getting dents or scratches that can be such a headache. It also doubles as a step that is very functional. This is bigger than the regular BumpStep. It is twice as wide. It is ideal for those who are looking for more surface area. For those who are looking for something sleek and stylish but offers excellent protection and functionality, this is a great BumpStep to consider. Express your patriotic side with the BumpStep USA. 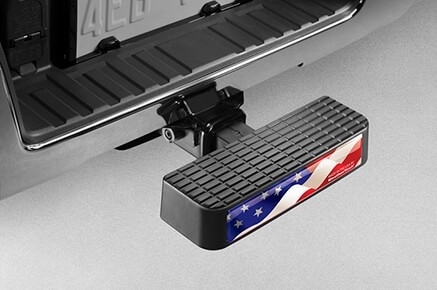 This is WeatherTech’s way to show their love and commitment for their country. This has the iconic American flag design that protects and offers great functionality. Do you know that you can protect your head lamps? By doing so, you also boosts the protection of your vehicle's front end. And what better way to do this but through the use of this lens protection film that is made from strong material that will last you for years! Protect your fog lamps with this lens protection film. 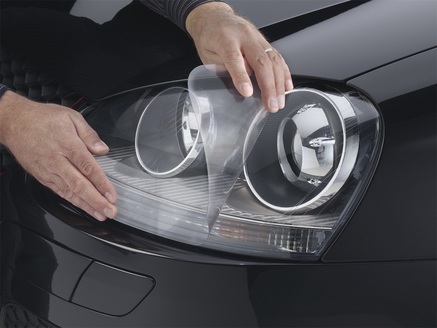 With this on, you will be able to prevent scratches to your fog lights. It also increases the lifespan of your fog lamps. Indeed a good investment, it will fit all types of vehicles. You will definitely have a pair for you! Protect your head and fog lamps and you will thank yourself afterwards. This lens protection film may seem simple but it offers utmost protection to your front end lights. With this kit, you get both lens protection films for your head and fog lamps. Made from really strong material, this will stay for a long time! Your signal lights and your head lamps will be protected with the use of this lens protection film kit! You see, you don't have to splurge a lot of money for quality protection. This is so easy to install and you will love how protected you'll feel with these films installed! With this lens protection film kit, you get everything for your frontend lights. Through this, you guarantee maximum protection no matter what. Its tough construction will last you for years and it is also easy to install. Equipping your vehicle with this will put you at ease and you don't have to break the bank! Protect your tail light using this lens protection film. With this, you don't have to worry about discolouration as it features ultraviolet inhibitors. To make it even better, it will also protect your lights from harmful road debris that can cause damage to your vehicle. It's easy to install and it will only take you a couple of minutes! Guaranteed to last, this lens protection film will help ensure that your vehicle will stay and operate well as the years go by. This protection film for your tail light or side markers is a good investment as it doesn't just protect the lights but also the entire vehicle as well! 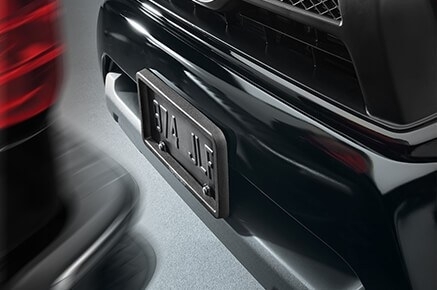 Keep your license plate looking new and free from damages with WeatherTech’s ClearCover License Plate Cover. This offers complete coverage to your license plate that guarantees maximum safety and protection. A license plate frame that will not only protect your license plate, but will also make it look stylish. It comes in various colors and is very durable, making it a good frame. This license plate frame isn’t only a good protection, but it can stand the test of time. 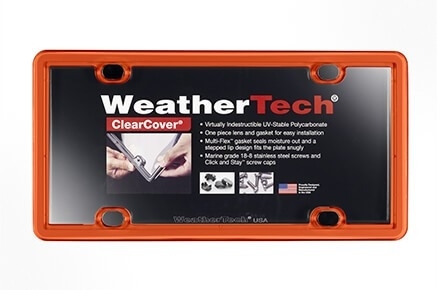 You can guarantee that the WeatherTech PlateFrame License Plate Frame will last you for a very long time to protect your license plate. 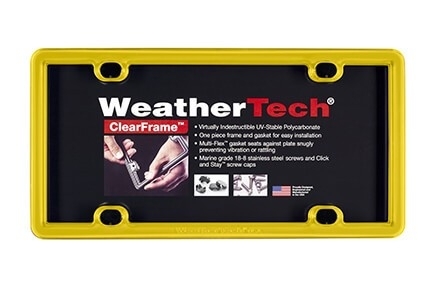 Say goodbye to bumps and scratches on your license plate frame with the WeatherTech BumpFrame License Plate Frame. It adds a layer of protection to your car’s front end and is also virtually indestructible. Ideal for car collectors and enthusiasts, this luxury license plate frame will protect your license plate while maintaining a sleek & stylish look. Make sure that your dogs are safe with the WeatherTech Pet Barrier. 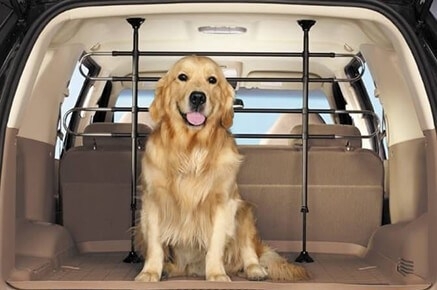 This allows your pet to stay safely at the back of your car while in transit. 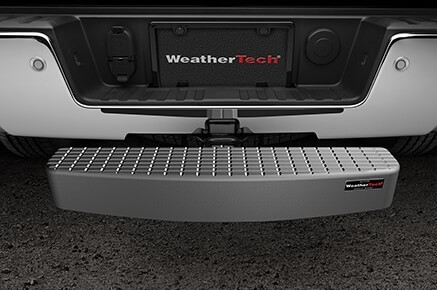 With WeatherTech’s Pet Step, you can take your pets with you. 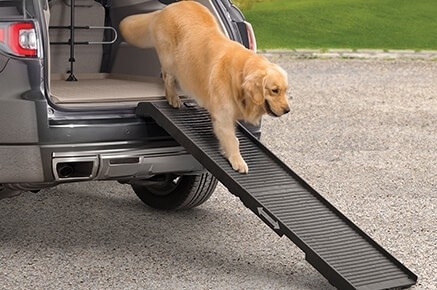 Also, you don’t have to carry your big dogs to get in the car, this pet step makes everything convenient for you and your pet. 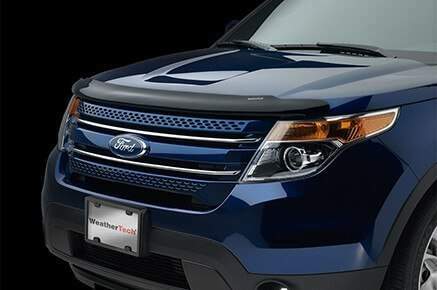 WeatherTech In-Channel Side Window Deflectors allow fresh air to enter the cabin while keeping the elements out increasing the interior comfort level. They are constructed utilizing a durable acrylic material that incorporates a sleek low-profile design. They are specifically designed to fit your car, truck, or SUV based on the year, make, and model of the automobile to accomplish a precise fit. The installation process is fast and easy due to the fact that they are inserted into the window channel. 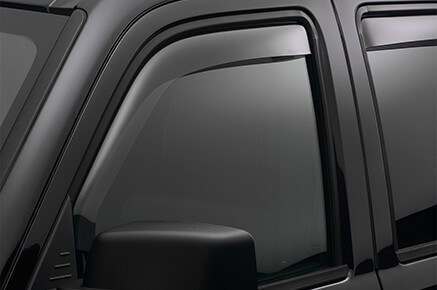 WeatherTech Stone and Bug Deflectors are constructed with a durable impact resistant acrylic material. They protect the painted hood surfaces and the windshield from damage that can be created by bugs, stones and miscellaneous road debris. 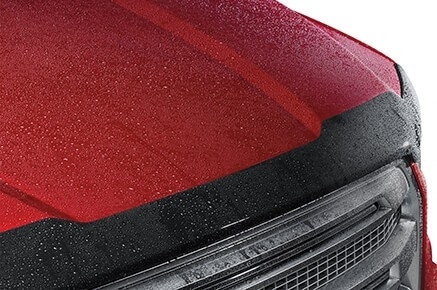 The deflectors are vehicle and application specific to mirror the contour of the hood and fenders to fit appropriately and enhance the overall representation of the car, truck, or SUV. The no drill installation process incorporates an adhesive or fastener application based of the vehicle. 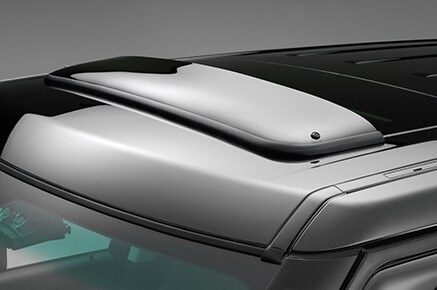 To protect and maintain your car’s hood paint finish, this deflector is something that you should definitely consider. Don’t worry because you get to keep your pickup’s aesthetic appeal with this. This wind deflector does its job perfectly. It deflects wind noise and at the same time, it keeps your hair in tip-top shape. A worthy addition to your vehicle that you will surely not regret. Made from the highest quality of material, you know that this one is going to last. 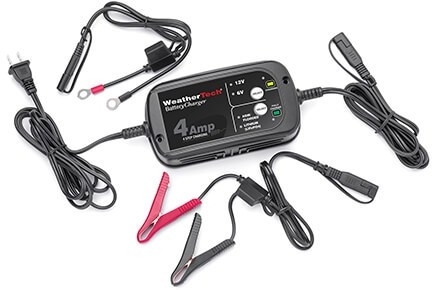 Lengthen the life of your lead acid batteries by using the WeatherTech Battery Charger. This charger is very powerful and functional. An innovative solution to protect your car and your cargo. 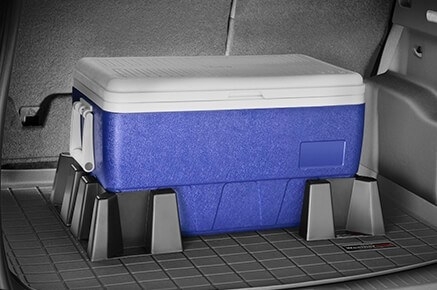 This is a great way to keep your things organized inside your vehicle. 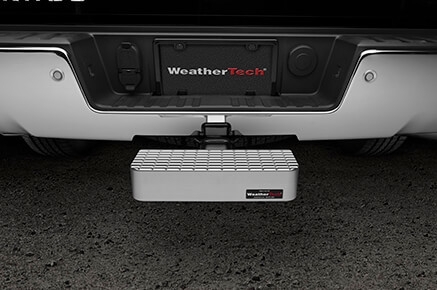 WeatherTech No-Drill Mud Flaps provide protection for side panels and rocker panels by retaining stones, rocks, and other road debris within the fender well. The durable impact resistant molded plastic construction withstands the elements and maintains a long lasting like-new appearance. They provide an exact fit due to the fact that they are vehicle and application specific. 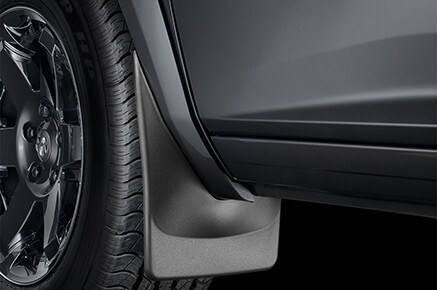 The mud flaps incorporate a unique fastening system to facilitate the installation process that does not require tire removal or drilling. 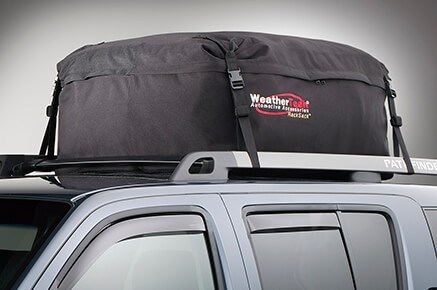 Keep your items safely and well-protected in the RackSack Roof Cargo Bag. You can mount it either on the side rails or crossbar of your car’s roof. We all need seat protectors for our car seats and of course, we always want the best. 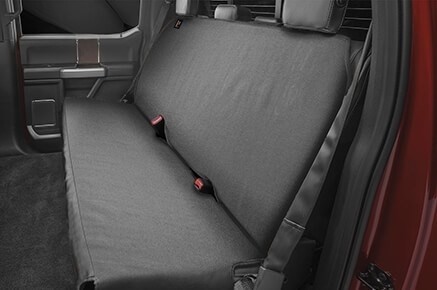 With this seat protector from WeatherTech, you can guarantee high quality that can last for a really long time! It also also water resistant and come sixth all the right features for your utmost convenience and protection! 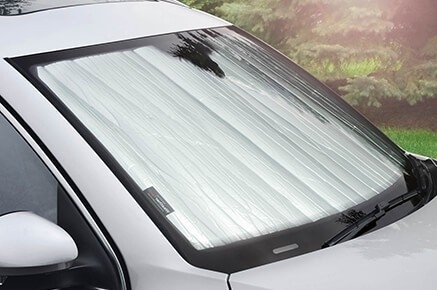 This TechShade Sun Shade from WeatherTech is ideal to be used for all seasons. It regulates the temperature inside your car by keeping it cool during the hot weather and helps prevent frost in the cold weather. WeatherTech is a proud supporter of American manufacturing, with manufacturing and distribution facilities located in Illinois. 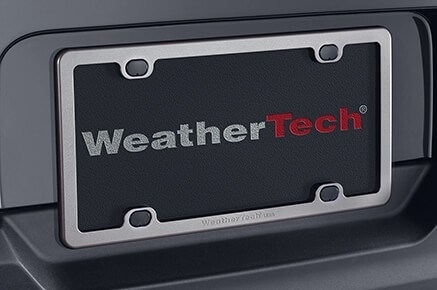 WeatherTech combines exceptional product engineering, state-of-the-art facilities, and best-in-class customer service to provide a product that is worthy of all the praise it receives. PartCatalog.com is a proud and authorized dealer of WeatherTech products. 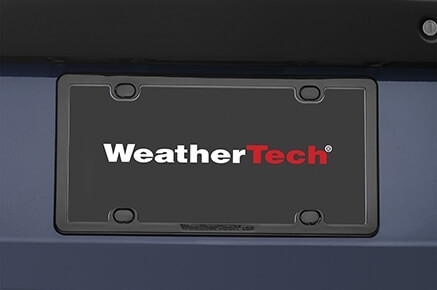 For more information on WeatherTech, please visit the WeatherTech official website.